Congratulations on taking the first step to learn WebSharper! We have carefully put together this hands-on tutorial with the aim to help you get started with WebSharper and on your way to learn functional, reactive web development, putting you on a fast track to unleash the real web developer in you. The skills you pick up with WebSharper will make you a better web developer, and the concepts you learn will remain valid and useful with other functional, reactive web frameworks and libraries as well. You can find links to further material below and the sources of this tutorial in the bottom of this page, and you can see the resulting app in action live on Try WebSharper. Using HTML templates (these work on the client and server alike) instead of inline HTML combinators. Further reading: the "HTML Templates" section of the Reactive HTML page of the main documentation. Reading and writing the values of input controls (text boxes, text areas, checkboxes, etc.) in your HTML page through your template's data model. Further reading: the "Accessing the template's model" subsection of the Reactive HTML page of the main documentation. Wiring events such as button clicks. Further reading: the bottom of the "Holes" subsection of the Reactive HTML page of the main documentation. Using reactive variables - and reflecting their state to the UI. In this tutorial you will see how to apply CSS classes dependent on reactive variables and how to use the V notation. Further reading: the "Reactive layer" and "The V shorthand" sections of the Reactive HTML page in the main documentation. We will cover two-way binding more complex data models in another tutorial. 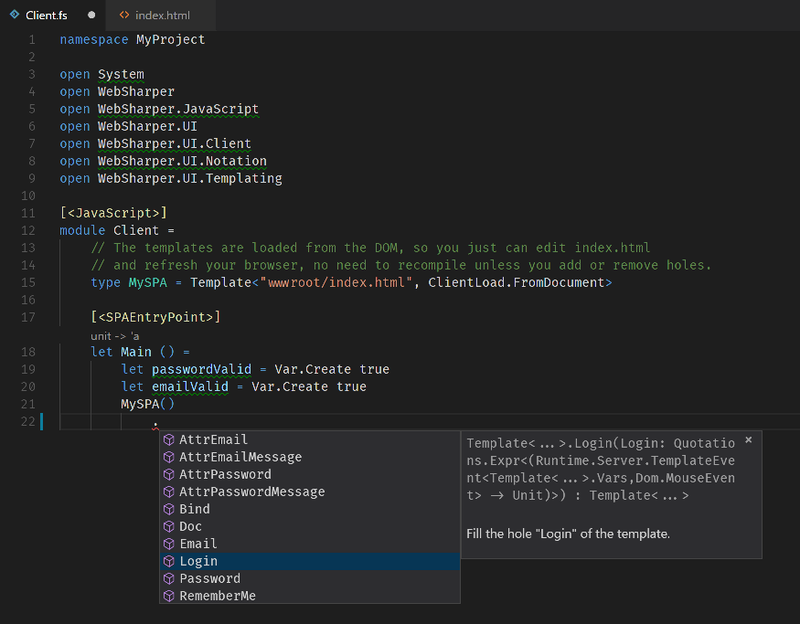 The main takeaway of this tutorial is that you should use HTML templates as much as possible instead of inlining HTML code into your application logic. While it's certainly easy to construct HTML in C# or F# (by using the HTML combinators defined in WebSharper.UI.Html), it's our recommendation that you avoid it as much as you can for better logic vs. presentation separation. This will create a new WebSharper SPA project for you. 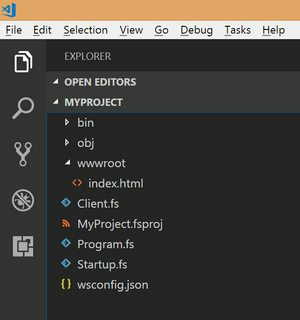 You will use F# for this tutorial, but you can also choose to create a C# project (just leave off the -lang f# part) and adapt the sources we discuss here. Go ahead and open this project with your favorite editor. Feel free to remove the reference to bulma.js - it is not strictly needed. This will give you a .hidden CSS class to hide things (always comes handy), and also make sure that any dependencies are correctly brought into the page by WebSharper when needed. Feel free to update the <title>...</title> with the title you prefer to give to your app. Now, you are ready to write your F# logic and switch over to Client.fs. If you didn't have to worry about validation, things would be super simple, but in this case you want the full enchilada, so you will also use a couple reactive variables as a mini data model (passwordValid and emailValid) to tell whether the email and password fields are valid. Note how e in the login handler enables you to access all the input values through e.Vars. You can also use these to set their values on the UI - two-way binding in WebSharper UI really rocks. 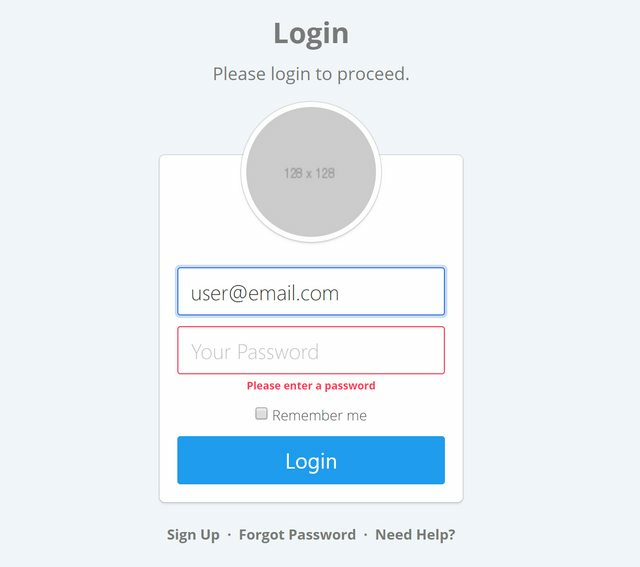 As a bonus exercise, you can add a similar error message for the password field as well, and just a hint: it will look exactly like what you did above. You can fork this SPA project via GitHub, it's a whopping 35 LOC F# in its entirety - enjoy! You can also try out a slightly adapted version live on Try WebSharper.